Microsoft just made a series of announcements about new Microsoft 365 features and capabilities at the Microsoft Ignite conference. Here’s some more about the various additions and updates that could make an impact for users. 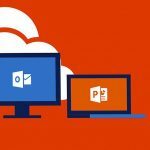 Microsoft 365, which is a combination of Office 365, Windows 10, and Enterprise Mobility + Security, was introduced in July. Now, the company is introducing two new plans for different purposes. Microsoft 365 Education combines capabilities across Office 365 for Education, Windows 10, Enterprise Mobility + Security, and Minecraft: Education Edition. The idea is to provide students, faculty, and staff everything they need to create and work together securely in the classroom. And Microsoft 365 FI is a new Microsoft 365 Enterprise plan designed to maximize the impact of the Firstline Worker. This new plan is meant to foster culture and community, train employees, digitize processes, and deliver real-time expertise while minimizing risk and cost for enterprises. There are also some new capabilities within specific parts of the Microsoft 365 experience. For example, the company is adding some new intelligent features to Excel, including new data types that go beyond just text and numbers. There’s also new intelligent search capabilities to help users find the specific items they need across different programs like SharePoint and Office.com. And users can also enjoy a new LinkedIn profile integration feature. When it comes to team collaboration, Microsoft also has some new features and capabilities that can impact how organizations communicate and work together. In Microsoft Teams specifically, users can enjoy intelligent communication features that integrate cognitive and data services, along with insights from the Microsoft Graph. In OneDrive and SharePoint, there’s a new unified sharing experience that provides a simple, consistent, and secure way to share and control access to files across Office 365. And there will also be deeper integrations between Yammer and SharePoint. With all of these new Microsoft 365 features for end users, there are also some new features intended to make the IT management experience a little more seamless. These features include new device deployment automation, migration capabilities, and Office 365 usage analytics. There are also security and compliance updates to help organizations protect data and meet all compliance obligations.